City Council reacted to application’s inaccurate architectural renderings and restaurant’s history of noise complaints. 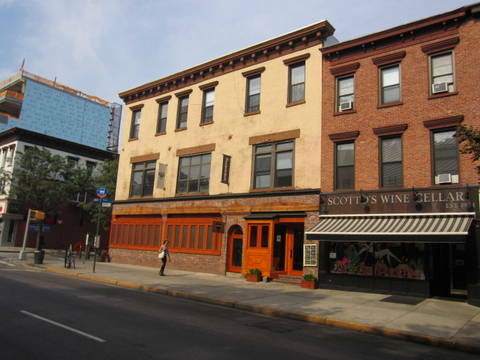 On August 22, 2012, the City Council denied Buschenschank restaurant’s application for an unenclosed sidewalk cafe at 320 Court Street between Degraw and Sackett Streets in Carroll Gardens, Brooklyn. The application called for 24 tables and 48 chairs fronting Court Street. At the Council’s Zoning & Franchises Subcommittee hearing, a representative of local Council Member Brad Lander and a representative of Brooklyn Community Board 6 testified in opposition. In a statement read by his policy director, Michael Freedman-Schnapp, Council Member Lander urged his colleagues to deny the application. Lander noted that Buschenschank’s application to the City’s Department of Consumer Affairs had inaccurately measured the sidewalk width and had not provided enough pedestrian space between a bike rack and the proposed outdoor cafe. 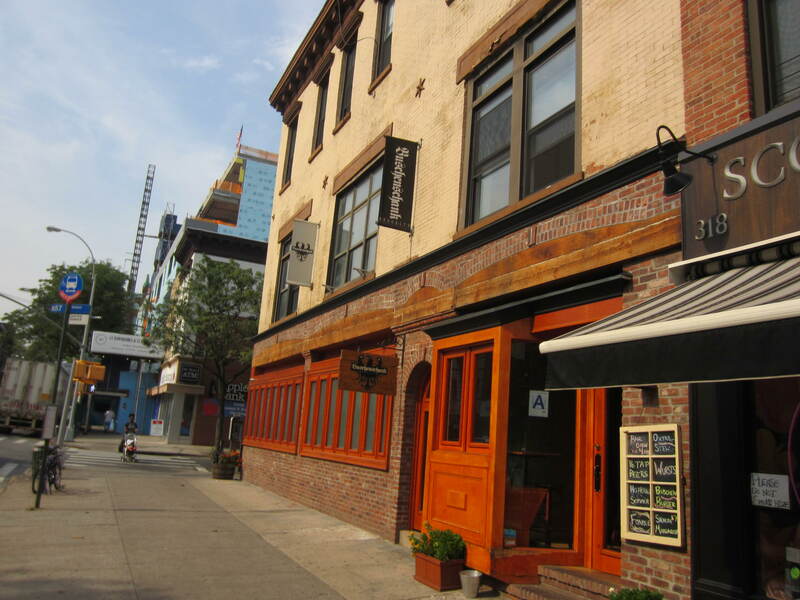 In addition, Lander stated that more than two dozen noise complaints about the restaurant had been registered with 311, and that the NYPD had issued the restaurant a noise violation. Gary Reilly, chair of CB 6’s Permits & Licenses Committee, reiterated Council Member Lander’s concerns, pointing out that the restaurant had only been open a short time, yet already attracted numerous noise complaints. According to Reilly, Buschenschank had been “the least cooperative of any applicant” to come before CB 6 during his tenure. Peter Janosik, a City Council Land Use Division staff member, visited the site and testified that Buschenschank’s architect had submitted inaccurate self-certified plans. James McGown, the owner of Buschenschank, acknowledged CB 6’s concerns, but argued that his restaurant met the applicable noise ordinances. McGown claimed that the NYPD noise violation had been dismissed after an “administrative hearing.” He also claimed that the 311 noise complaints were “largely” coming from two individuals who had “a personal vendetta against me.” In addition, McGown testified that he refused Council Member Lander’s recommendation to withdraw and resubmit a modified application due to the costs associated with the process. Chair Mark Weprin recessed the hearing without calling for a vote. When the Subcommittee reconvened the next day, Michael Freedman-Schnapp testified that Council Member Lander had been unable to reach an agreement with Buschenschank to modify the application. According to Freedman-Schnapp, Buschenschank refused to reduce the number of tables and chairs, to limit the hours of the sidewalk cafe, and to close its large windows at “reasonable hours.” Prior to calling for a vote, Chair Weprin stated that the application should be denied because of “serious concerns” about quality of life issues raised by the local community, and because Buschenschank’s application contained inaccurate architectural renderings. The Subcommittee unanimously voted to disapprove the application. The Land Use Committee and full Council followed suit. Council: Huitres NYC Inc., d/b/a Buschenschank/320 Court Street (August 22, 2012).